Your people will love Yanomo - and you will, too. Try our 17-day trial. No contracts or credit card required! So time tracking becomes a breeze. Getting started will literally take 15 seconds! Yanomo will greatly reward your business - and your people. Really easy time tracking is why it works. 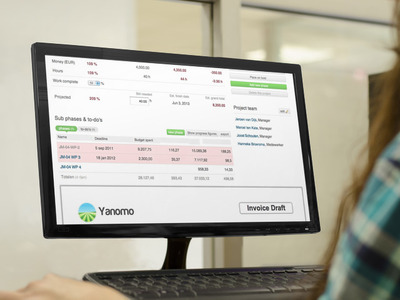 Business critical insights is where Yanomo becomes indispensable. Time tracking couldn't be simpler. Use our clever calendar interface to log time with real life as a blueprint. Use our Time Tracking Matrix if you're used to an Excel-style interface. Or simply click and sync with the iPhone app. Set your targets and nail them. Know right away when budgets go off the rails, not months later. Know which customers, projects, activities and people are bringing in the money. 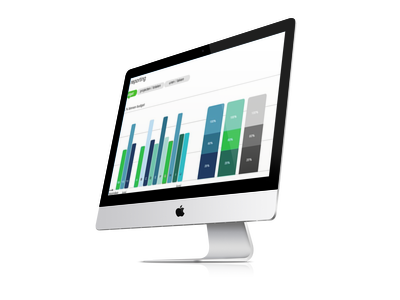 Report across 50 KPI's and export as you wish. Gorgeous invoices will flow like water. Send beautiful, personalized invoices straight out of your time logs. Bulk generate all your invoices based on budget plans and retainers. Set up easy auto-reminders to keep your company account humming. And yes, you'll enjoy working with Yanomo. Serving thousands of customers worldwide for nearly a decade. You should try Yanomo. It's FREE for 17 days. You'll love it. Join over 4,500 companies worldwide. Choose any plan and try it out for a full 17 days, without obligations or credit card details. Everybody has his or her own dashboard, containing just the information you need. 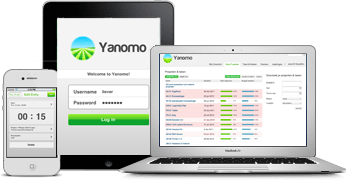 Yanomo offers instant overview of people, projects, clients, budgets & deadlines. And you can dig as deep as you like, up to the sub-sub-sub-level of projects. Whether it's a monthly retainer or a mega project, create beautiful budgets and execute them on point. If you're on target to miss your deadline, Yanomo will tell you when the first cracks appear - not when the house has already collapsed. Yanomo's Twitter-style chat feed shares your activities and logged hours with relevant co-workers - and vice versa. This helps everybody stay in the loop, whether in the same office or 10,000 miles apart.